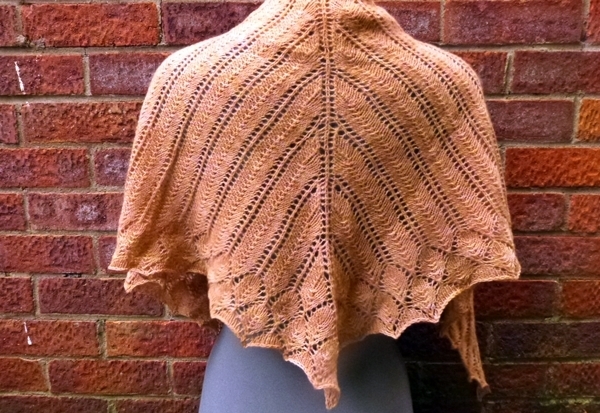 This pattern was kindly donated to us by Karie Westermann, and had appeared in Knit Now magazine. This is a lovely elegant shawl with a Victorian feel, great for keeping the draft off your shoulders whilst you sit and read the classics! The pattern is written for 2 ply yarn, but was also designed to be fully adjustable, both in size and yarn weight. Please bear in mind that you will need a different amount of yarn if you are using a different weight. I first read Jane Eyre when I was fourteen. I had this mad, mad notion of ‘reading all the classics’ before I turned fifteen. I did not get far, of course, because I read indiscriminately and without any real understanding of what I read. Jane Eyre was one of the books I did read and I remember thinking it was ‘okay but a bit dull’. Then I decided to revisit Jane Eyre last year and the novel took my breath away. What an intelligent, passionate, fierce book it is. It is both a Victorian literary equivalent of a Mills & Boon novel (“Reader, I married him”) and a proudly feminist book about the importance of knowing your own mind. The many knitting references were just cherries sprinkled on top! I swooned and cheered. There was even a lovely bit where the housekeeper, Mrs Fairfax, says something in the vein of, “Oh, hang on a sec. Must. Finish. This. Row. before you dash off with the Master” – any knitter would smile in recognition. 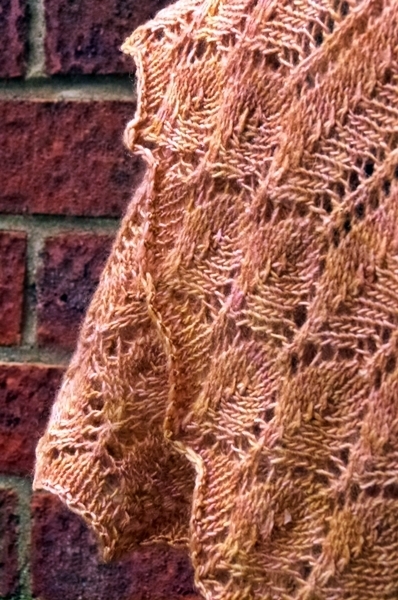 So, how could I resist designing a shawl to match Mrs Fairfax knitting away? 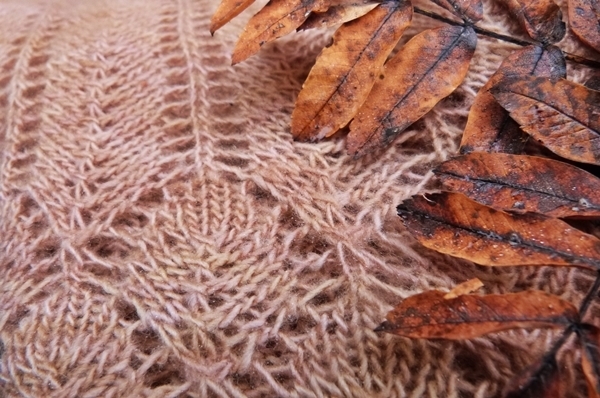 To see what others have made from this pattern, please visit the Eyre Shawl pattern page on Ravelry. Browse our other p/hop patterns here.